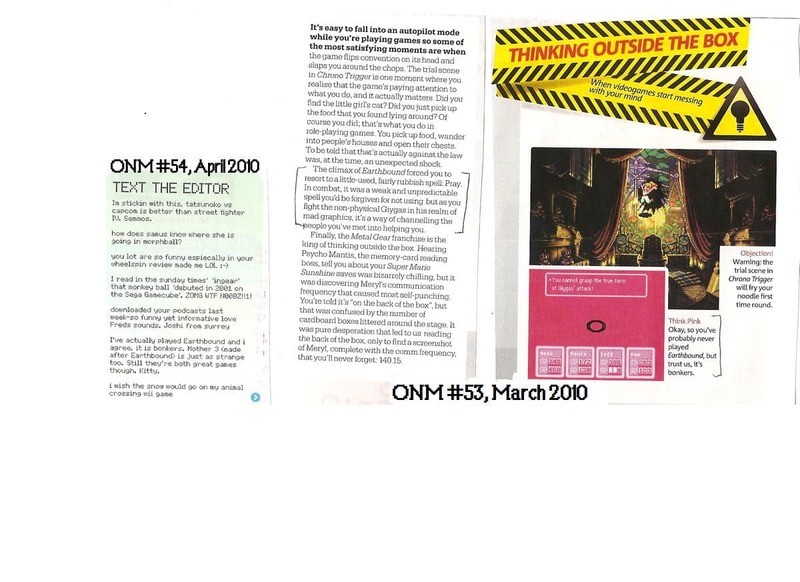 Omnomnominous sent in a bunch of scans of EarthBound stuff from UK magazines, mostly from NGamer and Official Nintendo Magazine. Here they are! No dates/issue numbers with them, but some of them look to be a few years old. I didn’t like these ones. it made them all seem hyper ignorant of the game. they way i feel is. don’t mention a game unless you know about it. 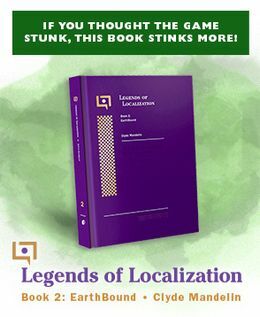 and it seems who ever wrote … any of these doesn’t know much about earthbound… but then again. I could just be a nerd. who has high expectations when it comes to mother. 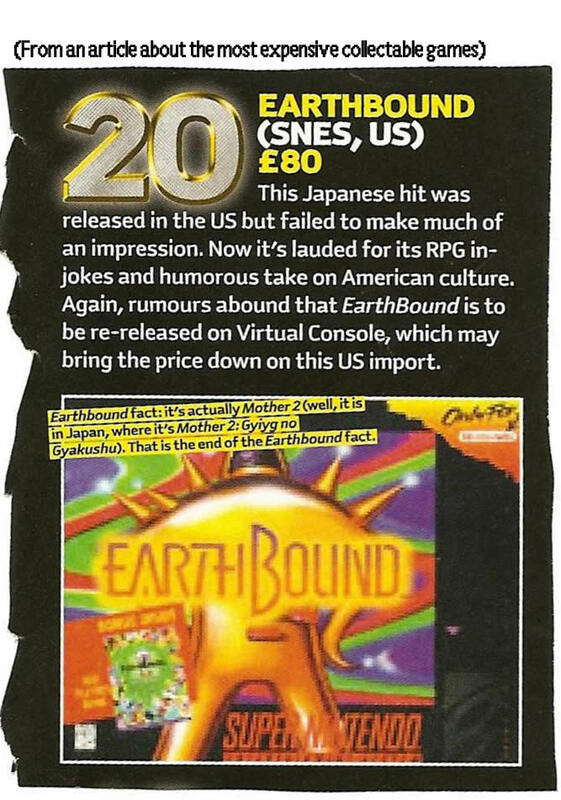 I have a 2005-ish UK Official Nintendo Magazine that lists Earthbound in 112nd-ish place in a reader’s top-100. I’ll see if I can send in a scan at some point, if it already isn’t up here. 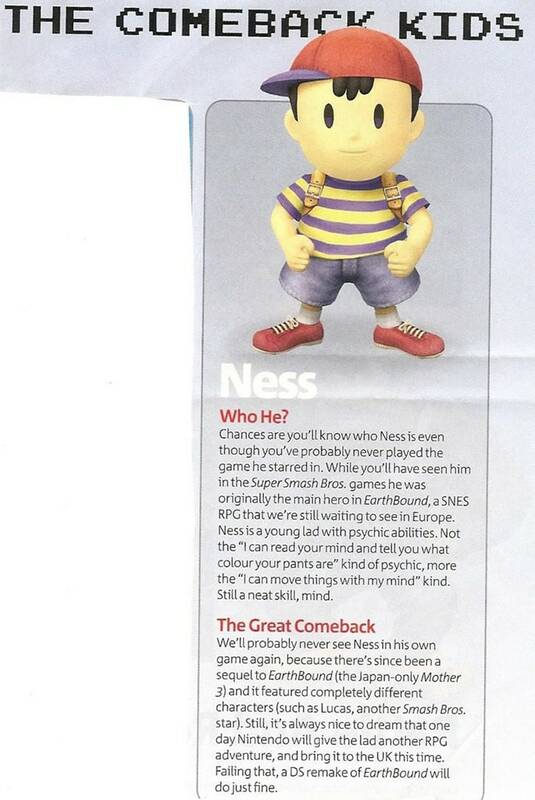 @Kyoo: You can’t really expect much more of us, the only time (most of us) really hear about Earthbound is from Ness, who is seen as the “Super Smash Bros Kid”. Given that the only real mistake they made was refer to Pray as a spell (and that’s pretty nitpicky), I think you’re picking holes where there’s no need, Kyoo. hey theres a page in the new nintendo power that talks about earthbound, it says that how earthbound and other games would do agenst terminaters. once someone buys it please put it up, because I forgat to get it. 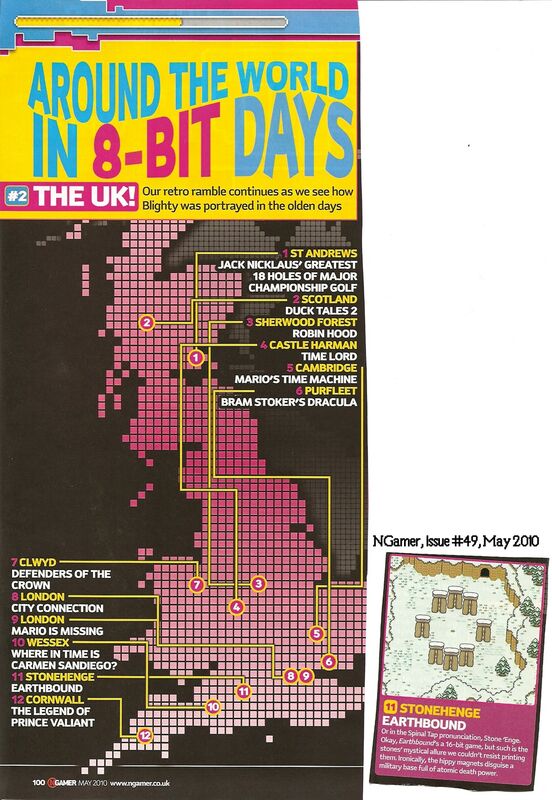 There are dates/issue numbers on most of these, actually, except for the first and third scans. It’s almost embarrassing how I kept record of which mags they were from…XD but we’re all Mother fans here so I guess it doesn’t matter, right? No offense, but maybe it’s a tiny bit nitpicky…I understand though, since I also hate when people write gaming articles containing incorrect information. It’s just what happens when you’re a fan of a particular game, you tend to scan for errors instinctively. (There’s nothing wrong with being picky, right? ;)) And I agree that Pray is most definitely NOT a ‘spell’, I noticed it as soon as I read that piece. Against terminators? That sounds pretty neat, although I can’t get Nintendo Power here, sadly. Someone should send that in. See? Nintendo will be dealing with Europeans soon. Tee-hee. I use to read NGamer but now it’s Nintendo Gamer. Shame.